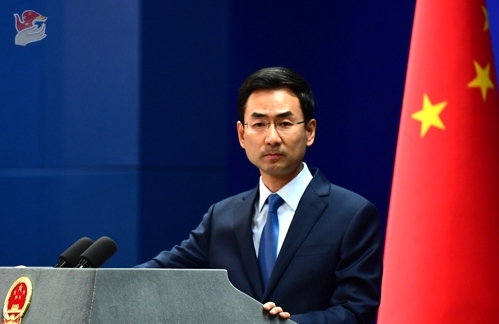 China hopes the Democratic People's Republic of Korea (DPRK) and the United States will cherish the hard-won momentum of dialogue and keep talking until a peaceful denuclearized Korean Peninsula is realized, a foreign ministry spokesperson said Monday. Spokesperson Geng Shuang made the remarks at a daily press briefing in response to a question on DPRK Vice Foreign Minister Choe Son Hui's comment on a briefing held in Pyongyang. "After the Hanoi summit, the DPRK and the U.S. both expressed willingness to continue dialogues. We commend and encourage this," Geng said. He added that the key to keeping up and advancing dialogue is to accommodate all parties' legitimate concerns in a balanced way, build up mutual trust and consensus, take phased and synchronized steps, and start with easier moves. "As the nuclear issue has dragged on for decades and complicated factors are at play, one cannot expect it to be solved overnight. All parties need to have reasonable expectations. One shouldn't set the bar too high at the outset or make unilateral, unrealistic demands," Geng quoted Foreign Minister Wang Yi as saying. "The international community should encourage both sides to keep moving toward the goal of denuclearizing the Korean Peninsula and establishing a peace regime," Geng said.